Sometimes it can be difficult to know exactly what you’re going to need for your move – do you need a fleet of 40ft vans or a single 16ft van? How long will it take to move four floors of office property? These questions can be answered at CJS Removals with a simple survey and quotation. A removals quotation will ensure that you get the best, most competitive price based on the size and nature of the task at hand. 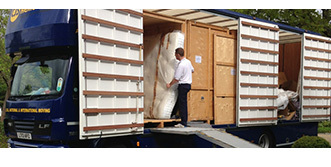 We take into account how large your home or business premises are and how far you’ll be moving which items. This will allow us to calculate what you need for the smoothest move possible. Whether you are in the Pinner, Harrow and Hampstead areas or anywhere else in the UK simply get in touch with us today to arrange your removals quote and survey. We have 40 years of experience, so our trained team have the knowledge to answer your questions remotely or on location.